LA Face Hub, strategically located in the Fashion District, the 300,000 SQF mall type retail/office is equipped with 10 elevators, 8 escalators and 750 parking spaces. The property opened the door in 2009 to serve variety of tenants with many amenities and professional management services. 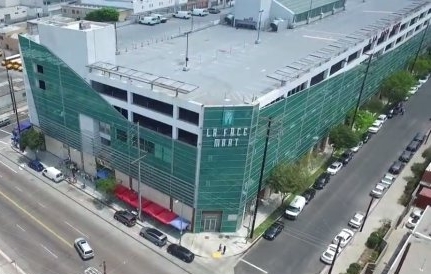 LA Face Hub, presenting one-stop access to multi-level of highly organized retail/office units is emerging as a "Landmark Property" in the Fashion District.